The second time, a place is familiar, the third time it is comfortable, the fourth time, it is home. 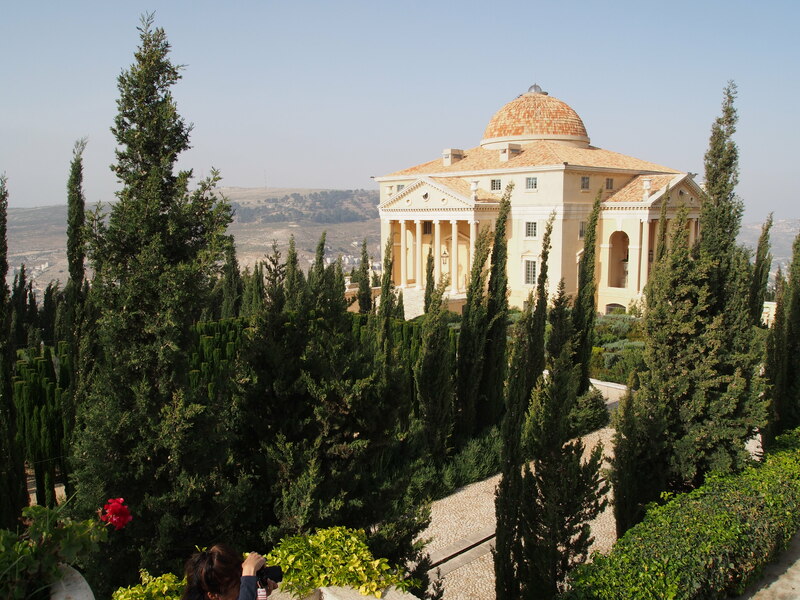 This morning was Ramallah again, and while I think it would be a stretch to say that Ramallah was “familiar” – we’ve seen the least of the actual city of anywhere on the West Bank – the territory itself has begun to feel comfortable. Devon and I were talking as we bounced along in the back of the bus: would we feel comfortable coming here on our own? Yeah, probably. On the city bus? Maybe. With the kids? For sure. This place that was so scary and far away from us just last week is now familiar and enticing. The meetings themselves were encouraging as well, especially after yesterday’s shellshock tour. 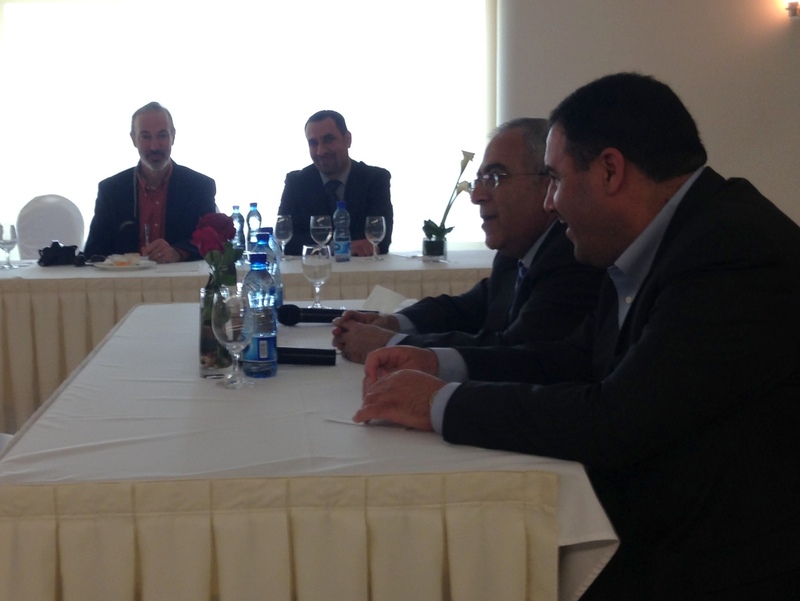 Teachers and ministers from the Palestinian Authority discussing plans for economic development and strategies for engaging their Israeli counterparts. They’re hopeful, and it’s not crazytalk (okay – one of the people we talked with was Prime Minister Fayyad, and he resigned a few hours later; I don’t imagine we had anything to do with that, but it’s hard to say that’s not unnerving). 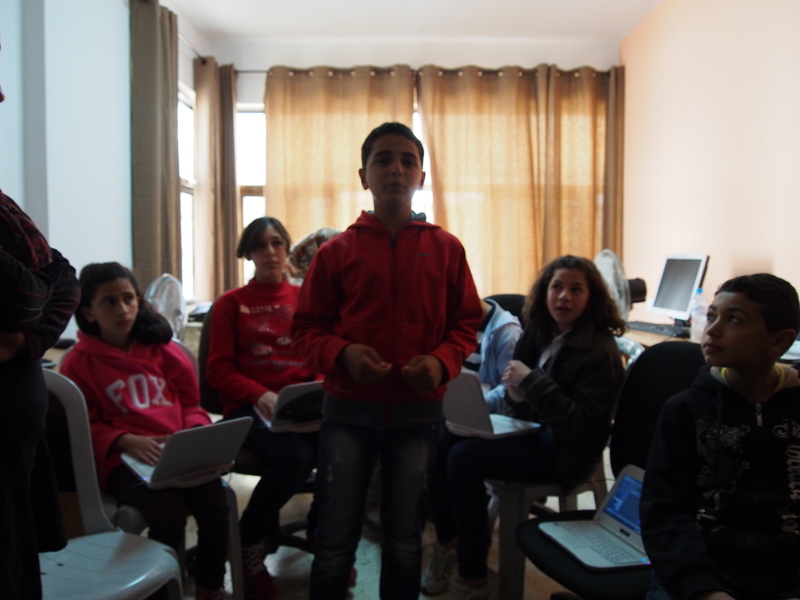 And the afternoon in Nablus – talking with kids about their civic engagement projects. A few years ago, Nablus was practically a wholesale clearinghouse for suicide bombers. The resulting Israeli security checkpoints pretty much cut the city off from the rest of the world, making life miserable for ordinary citizens and reinforcing the rage that fed terrorist recruitment. Which in turn… yeah. 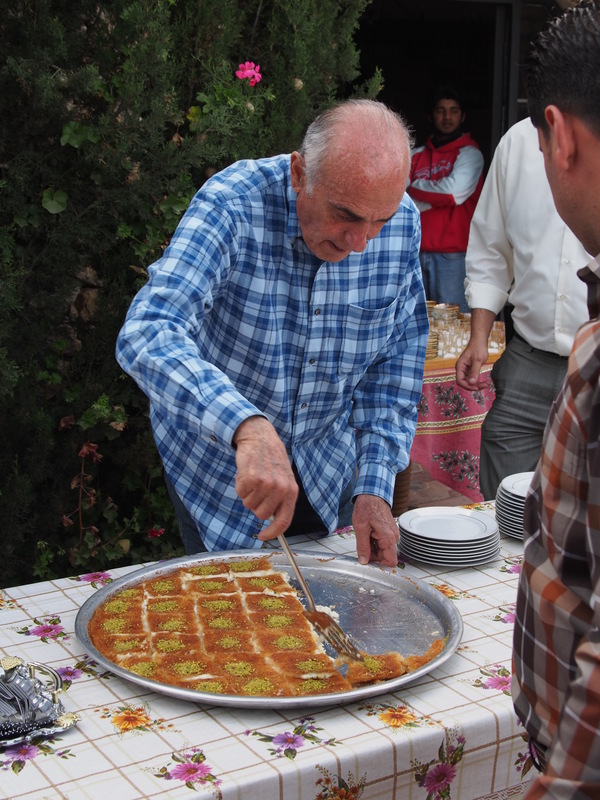 Today, the big hazard coming out from Nablus is kunafe, a dangerously addictive pastry dessert. Each of our successive hosts today has been eager to share the local delicacy with us (“Kunafe? Oh yes, we’ve heard about it – of course, yes, please! Uh, seconds?”), and I was deep in a sugar coma by mid-afternoon. 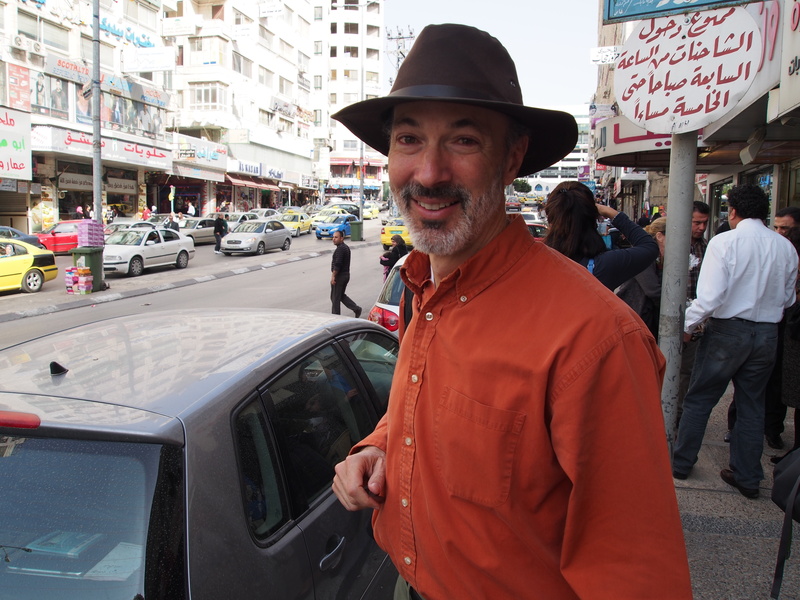 Actually, I lied: the biggest hazard is trying to dodge Nablus’ Manhattan-like the river of yellow cabs while you’re in a kunafe-induced sugar coma. But it’s a thriving, hopeful city. We met with Partners for Sustainable Development (PSD), a local NGO, and the women and youth they’re supporting in a bewildering variety of economic development projects: organic farming co-ops, hotel supplies, children’s enrichment programs – really great stuff. And then? More kunafe.